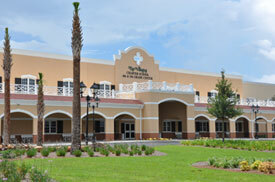 We proudly welcome you to The Villages Charter Elementary School! Our faculty and staff are dedicated to preparing our Kindergarten through 5th grade students to be technologically literate and lifelong learners who are equipped to succeed in the 21st century. We could not accomplish this goal without the tremendous support provided by our parents, volunteers and the community. We are proud to be an �A� school! Our exciting educational programs include a core curriculum including language and writing skills, reading, mathematics, science, and social studies. Our Art, Music, Spanish, and Physical Education classes round out our curriculum helping us reach the needs of the whole child. By using a wide variety of exceptional, proven teaching techniques and infusing technology throughout instruction, we can guide students to reach their fullest potential. Our students are challenged by our high expectations and all students regardless of ability levels are empowered to succeed. All of our students have meaningful access to technology with each classroom being equipped with 5 to 6 student computers. Every grade level attends a computer lab installed with a state-of-the art software program that teaches computer skills ranging from keyboarding to multi-media presentations integrating the curriculum standards. 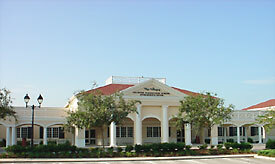 The Intermediate Center has one 25-station computer lab and the 4th & 5th Grade Center has two 25-station computer labs that students access throughout the school year. Our commitment to excellence extends beyond the regular school day to our Buffalo Adventures after school program. Many enriching activities are available to our students during after care which may include violin instruction, soccer, Lego�-building, dance and cheerleading to name just a few.